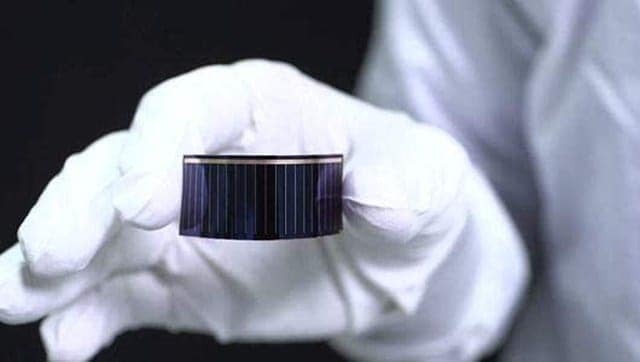 Alta Devices has announced that the US National Renewable Energy Laboratory, one of the world’s three largest renewable energy research organizations, has rated the company’s single junction GaAs module as the world’s most efficient single-junction solar module. With its record-setting 28.9% conversion efficiency, the module can be used to power unmanned aerial vehicles (UAVs) and other robotic platforms as well as smart sensors that were earlier restricted by low efficiency solar solutions. Alta Devices first broke the record for GaAs single-junction cells in 2010 and has since then broken five conversion efficiency records. With this most recent breakthrough, Alta’s parent company Hanergy Thin Film Power Group now has two world records – the record for single-junction batteries (28.9%) and for single-junction battery modules (25.1%). In 2014, Alta Devices, a California-based company, became a subsidiary of Hanergy. Extremely efficient, light and flexible, Alta Devices’ GaAs thin-film solar panels have been successfully applied to a range of different products. Hanergy recently collaborated with Audi on solar sunroof using GaAs thin film battery technology. Subsequently, Chinese automakers such as FAW and BAIC teamed up with Hanergy to jointly develop GaAs thin-film solar roofs for multiple models. Meanwhile, Hanergy has also brought to use its GaAs thin film solar cells for drones to develop industrial-grade solar drones. Globally, Hanergy holds more than 4,500 patents in the field of thin film solar energy, of which about 50% are invention patents.